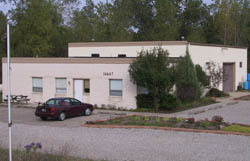 Working Bugs' facilities are located in East Lansing, Michigan. We produce bio-based chemicals for our own product manufacturing and also have the ability to do toll manufacturing or special projects for others. We have fermentation capacity ranging from lab scale to production scale with our largest fermenters having a volume of 16,000 liters (4000 gallons). We have full service labs to support operations and development.